Pencil eyeliner is one of the easiest types of products to apply to the lash line, especially when applying eyeliner to the lower lash line or if you want to smudge your eyeliner (on either the upper or lower lash lines). 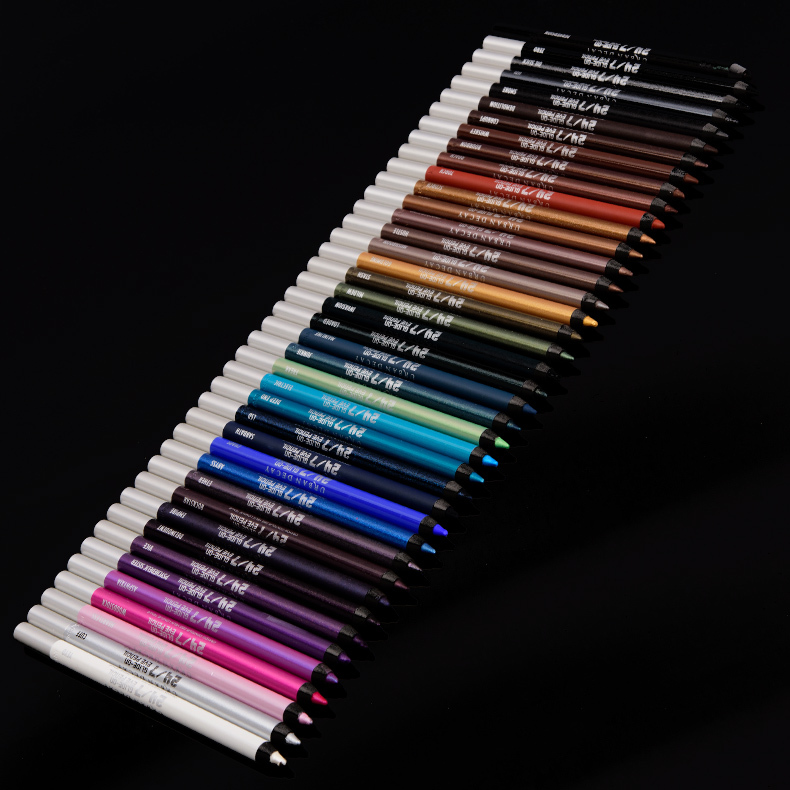 There are three more distinctive types of pencil eyeliners, based more on the texture and feel: creamier, wetter formulas, drier, stiffer formulas, and more emollient, waxy formulas. 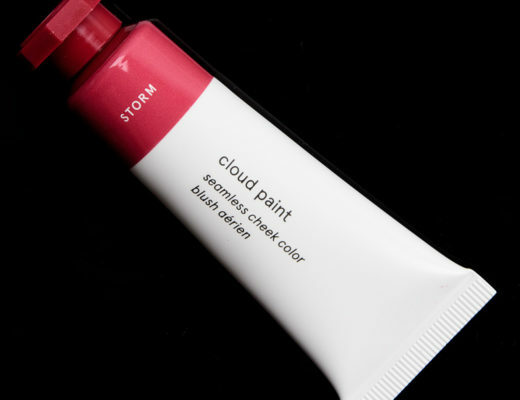 The creamier formulas are typically more pigmented, while drier formulas can last longer and are less prone to smudging or migration, and waxy formulas glide across the skin well and tend to be longer wearing but sometimes aren’t quite as pigmented and require layering. Gently pull the lid taut and run the pencil across the upper lash line in short, quick strokes. If it’s a creamier/wetter formula, you may be able to glide the pencil across in a single, fluid stroke. Remember, when you hold the lid taut (to minimize the chance of blinking and to ensure a smooth, even line), you want to be gentle and use the slightest pressure you can get away with. Try using your ring or middle finger instead of the index finger to ensure you use less pressure. You can experiment with the shape, thickness, and how far it extends beyond the natural lash line. The most common way to apply pencil eyeliner to the upper lash line is to do a thinner line closer to the inner lash line/inner corner and get slightly thicker on the outer half of the upper lash line. For a more natural look, you’ll want to opt for a thinner application, and for something more dramatic, opt for a thicker application or a deeper hue. Smudge eyeliner with a pencil brush or cotton swab. I recommend smudging your eyeliner as you go, so apply to one eye and then smudge, and then apply to the next eye. Some formulas give you more time to smudge than others, so you may find you can wait to smudge as the last step, but eyeliners are most pliable in the first 30 seconds. Synthetic, pencil brushes are fantastic for smudging product on the lash line without disturbing the coverage or sheering out the pigmentation. Cotton swabs should be used with a gentler touch but can get the job done with a light touch. Use powder eyeshadow to soften and smudge pencil eyeliner. 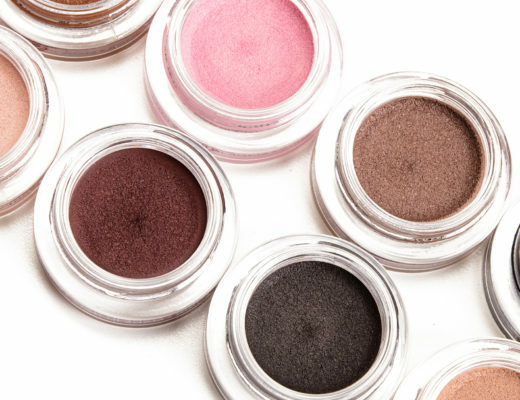 If you want a softer line, whether to diffuse and blend it out or to smudge it more effectively, use powder eyeshadow! I like getting a bit of powder eyeshadow on a pencil brush and applying to the lash line, then gently going back and forth to diffuse and spread the product out to my liking. What is tightlining? Tightlining is filling in the spaces between the upper lashes, which is particularly useful for defining the lid area, thickening the lashes, and creating a smokier effect. It can also be useful in disguising lash bands when applying false eyelashes. This technique can work well for someone who finds thicker eyeliner on the upper lash line diminishes their visible lid space too much, too. Tightlining vs. Waterlining? Practically speaking, depending on your tool, level of control, and sensitivity to product on that area, tightlining may also end up being lining the upper water line (which is the space right below the area where the lashes grow from) because both areas are so small and right next to each other. 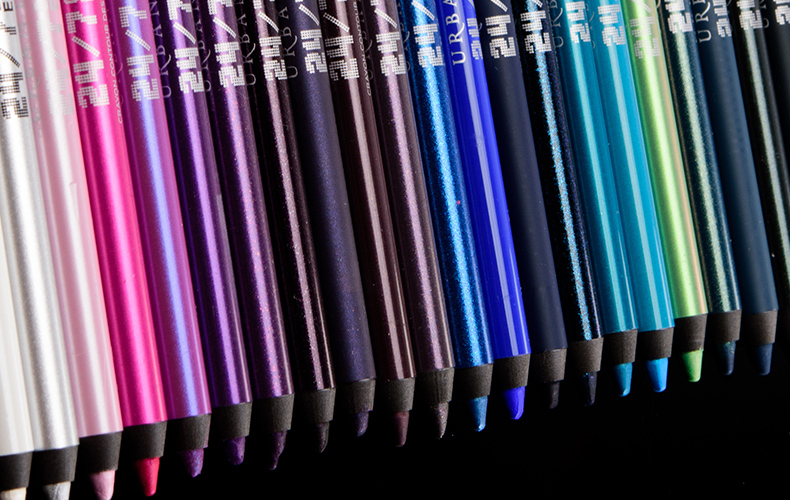 Wiggle the pencil eyeliner as close to the lash line as possible. Gently position the pencil so that it’s targeting the area between the lashes and gently run the eyeliner back and forth in short, successive strokes from inner to outer area of the upper lash line. Keep your eyeliner sharpened! You don’t want it to be so sharp that it’s painful, but you want a finer tip to the pencil eyeliner to ensure a thin, even application between the lashes. If you use a duller pencil, you may end up with a combination of liner and tightliner (which isn’t a bad thing, if that’s the look you’re going for!). Black eyeliner is usually the top choice to coordinate with black mascara. Brown mascara exists, though, so if you are using brown mascara, you could use a darker brown or softer black shade for a slightly less-intense look, too. If you’re going with black mascara, a black eye pencil coordinates well to thicken the lash line and get between the lashes in a natural way. Choose a creamier or waxier formula if your upper water line or lash line is at all sensitive. I struggle a lot in this area; I can’t even run the pencil well along my upper water line without it all ending in tears! The creamier and more pigmented the pencil is to begin with, the faster and easier it is to get the product onto sensitive areas like my upper water line. For a softer line, look up slightly and gently run the pencil back and forth along the lower lash line until you get the coverage and thickness desired. For a more intense line, gently hold (at most, slightly pull) the skin below the lower lash line to help keep the area taut and smooth, which will help eyeliner glide across more evenly and fluidly. Use a pencil brush or cotton swab to soften, smudge, or even out your eyeliner. Just like we did on the upper lash line, you can gently soften the edges by running a clean pencil brush along the lower edge of the eyeliner. You can also even out any areas by gently brushing the pencil back and forth to spread the pencil eyeliner out. Refer to the tips for tightlining as those also apply when working on the waterline, which is the area that is right above the lower lashes and right below the upper lashes (but there are no lashes growing from the space). It’s thin, watery (surprise! 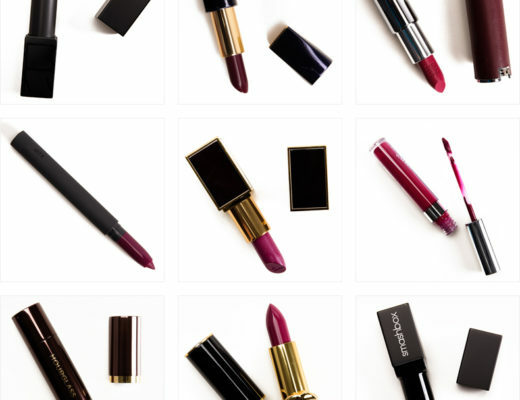 ), and tends to work best with creamier, wetter formulas or more powdery, kohl formulas. Remove excess moisture on the waterline with a cotton swab. This depends on your tolerance–it’s a step I cannot tolerate myself!–but can help significantly with getting pencil eyeliner to adhere better to the area. To apply pencil eyeliner to the lower waterline, you’ll want to gently hold part of the under eye area, slightly below the lower lash line space, to keep the area taut and avoid blinking too much. I look up slightly while running the pencil quickly back and forth along my lower water line. To apply pencil eyeliner to the upper waterline, you’ll want to reverse and use gentle pressure to lift the lid upward slightly to reveal the upper waterline, then repeat the method for lower waterline by gently running the pencil eyeliner back and forth to the desired intensity and coverage levels. 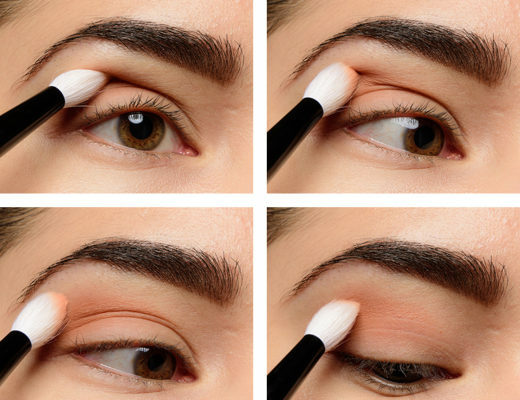 This method does not work for me personally, as my upper waterline is a rebel and hates anything touching the area, so I usually take an ultra-black, very creamy formula and hold it underneath the upper waterline and blink my eye closed on it rapidly while moving the pencil eyeliner slightly over and repeating several times.